Click on your preferred location to see weekly schedules and all of the adult or youth events available in your area! 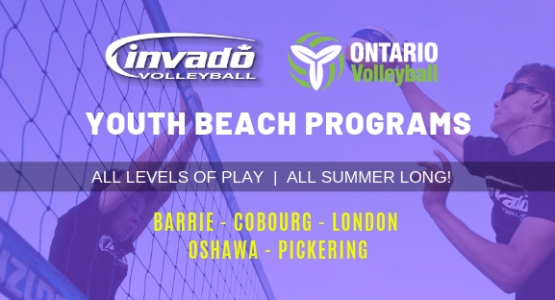 Check out the latest news, updates, and articles in our 'Invado Volleyblog! Click on an icon for more info on any one of our featured items, or to catch up on updates you may have missed. 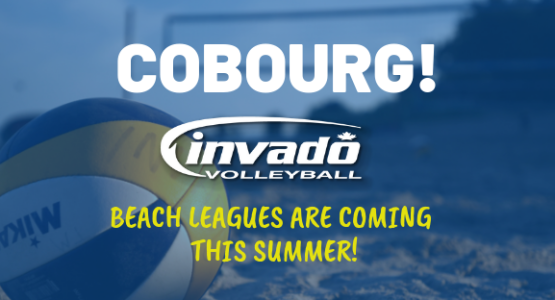 Invado Cobourg Beach Volleyball Leagues!